Anchorage police early Saturday arrested the 21-year-old man charged with murder in the nearly year-old Point Woronzof double homicide case, authorities said. 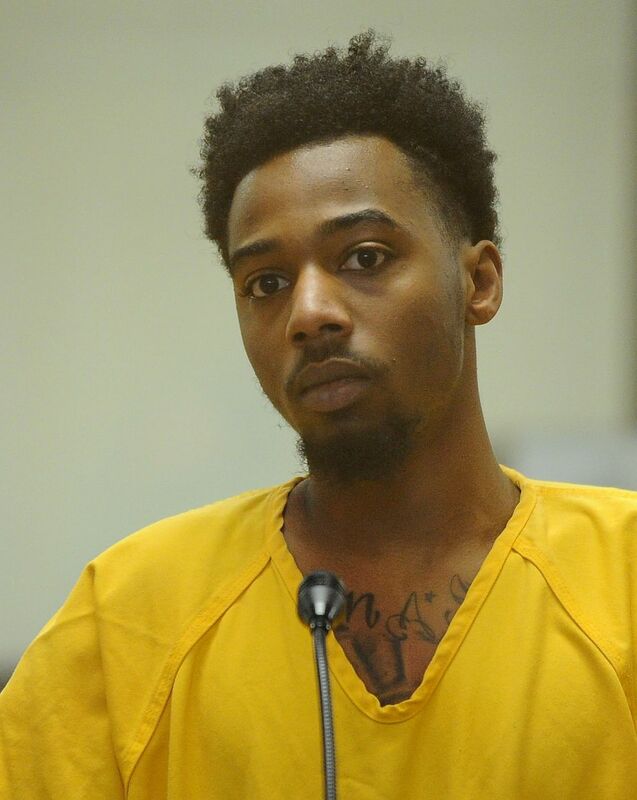 Jamal Hall, who was indicted Monday in the killings of Foriegnne Aubert-Morissette, 20, and Selena Annette Mullenax, 19, was taken into custody "without incident," police said in a brief prepared statement. Anchorage Police Department spokesperson Renee Oistad said in a subsequent email that detectives found Hall "through their investigative efforts," but refused to provide additional details. In a subsequent prepared statement late Saturday, police said Hall was arrested at an Anchorage residence, where he was with two people who police alleged were "actively helping him evade capture." Devonte Wyche, 23, and Katelyn Moon, 18, were both arrested and charged with hindering prosecution, which is a felony. At a hearing Saturday afternoon at the Anchorage jail courtroom, Hall made a brief appearance in a yellow jumpsuit and handcuffs. He was told by Magistrate Judge Peter Ramgren his arraignment on the murder charges and a separate armed robbery case would be delayed until Monday. Hall's bail has been set at $1 million. The arrest came five days after state prosecutors announced a grand jury had handed up two counts each of first- and second-degree against Hall. Authorities, based on information from several witnesses, allege Hall shot the two victims, who were discovered by a dog-walker on a weekday morning. Prosecutors say they've identified a motive but haven't discussed it publicly. No new documents were filed in the case Saturday, and Anchorage District Attorney Clint Campion said he couldn't provide additional details. Hall maintains his innocence, said Edward Wilson, his uncle. "I feel real bad about what happened to the young man and the young lady," Wilson said in a phone interview Saturday, referring to the victims. He added: "I take my nephew's word for it. He said he didn't do that, and I believe him." If convicted, Hall would face a prison sentence of up to 99 years on each murder count. Rose Mullenax, the mother of Selena, said in a phone interview from Ketchikan that she was "numb" after her sister told her about Hall's arrest. "I'm happy that they caught who they believe did it, and we're just kind of hoping APD did their job right and there'll be justice for Selena to come," Mullenax said. "It'll sink in, you know, when we see it on the news."